Two Toronto area men have been fined for having 45 black crappie over the legal limit. Hongrui Mei of Markham and Li-En Zhou of Scarborough pleaded guilty and were each fined $2,000 for catching and retaining more than the legal limit of black crappie from Lake Scugog. 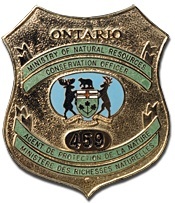 The court heard that on May 2, 2014, Aurora conservation officers checked the two anglers after they returned to shore from a day of fishing on Lake Scugog. Upon inspection the officers located 105 black crappie being kept alive in water. The anglers’ licences only permitted them to possess a combined total of 60 black crappie. Justice of the Peace Duncan Read heard the case in the Ontario Court of Justice, Whitby, on June 4, 2014. The Ministry of Natural Resources would like to remind anglers that it is an offence to transport live fish, other than baitfish, and that fishing limits are in place to maintain a sustainable fishery so that anglers and other resource users may enjoy the resource in the future.